3D printing has been used in a lot of interesting ways over the last few years, from printing food to life saving medical supplies. Now, the technology is being used to try and restore lost history and culture in Afghanistan. Afghanistan used to have a pair of the largest standing Buddha statues in the entire world, which had survived countless wars and invasions in the region between the 1500s, when the statues was first carved, right up to the invasion by the Russians in the 1980s. 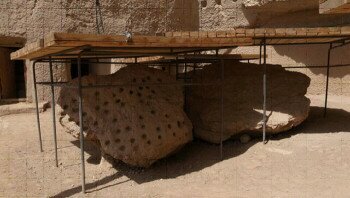 However, the Taliban leaders who came to power following the Russian invasion, used dynamite to destroy the great statues in 2001, seemingly obliterating them from history. 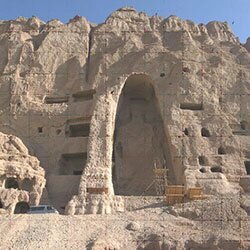 The Buddha statues were not the only piece of history to be leveled by the Taliban and a team of specialists from across the globe believe they can leverage 3D technology to right this wrong. 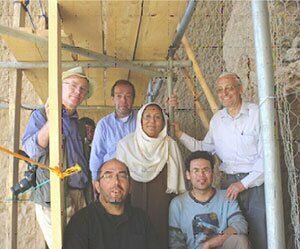 The United Nations Education, Scientific, and Cultural Organization (UNESCO) and the International Council on Monuments and Sites (ICOMOS) are leading a group of restorers, architects, and specialists to rebuild the Buddhas of Bamiyan. They are using the Geomagic Studio software package and a ProJect color 3D printer to make 1/25 scale models of the statues in order to plan out the large scale work. They also believe they can use the models to determine how to reassemble the pieces in the rough terrain of Afghanistan.